Welcome to the website for ex-members of the Focolare movement. This is the place on the web for people who are past members of the Focolare and also for people who want to know more about the inside of the Focolare that is mostly hidden behind a very different outside facade. We give independent information in order to help people to understand the Focolare better and we also provide a forum for the opinions of visitors to the site. On July 7th a new president of the Focolare Movement has been elected, Maria Voce, 70 years old and a lawyer by profession. As such she has been involved in the design of the statutes of the movement. We hope that she will find the wisdom and the courage to develop and implement the changes in the structures that are necessary in order to comfort de suffering of many people inside and outside the movement. We also hope that her involvement in the making of the statutes will not prevent or impede her ability and her desire to changes what is not working to the benefit of the people involved in the movement. This website will continue to monitor the development of the movement and we are open for a transparent dialogue. In light of the recent new developments in different zones of the movement, the web team has decided to close the forum for the time being. Also it was necessary modify our guestbook. We will soon give you more information and we hope to re-open the forum again soon. You can always mail to focolarenet@mail.com. We apologize for the inconvenience. Note: This is not a official Focolare website. The information on our website reflects the personal views and opinions of the webmasters and the visitors of this website. We thank everybody for the many encouraging reactions. Please feel free to write to us; we have taken every possible precaution to guarantee your privacy and confidentiality. 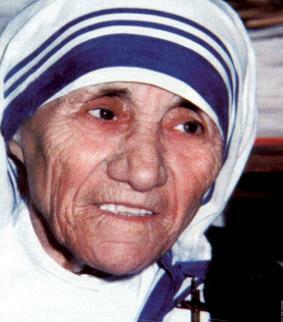 Several years ago I had the opportunity to meet Mother Theresa of Calcutta. With some pride in my voice I told her that I was a gen. She looked at me with much love in her eyes and said: "There is much more to life than Focolare..."
At that time I was astonished because I believed that there was not anything bigger than the Ideal. Only now I have come to understand the meaning of her words. It is the joy of loving Jesus, without structures, organization or dogmas that I like to keep in my heart, and forget about the rules and limitations that I found in the focolare. This website wants to show that there is more than Focolare, and that there is freedom of loving after you leave the movement. The only freedom I know is that of a free mind. Unfortunately, there is no freedom of mind, nor of speech in the movement. As somebody told me, "I had to leave the movement in order to live my life in a free Christian spirit." This site is such a surprise. I was introduced to the movement in 1976, and I thought I had found "the answer" to all the pains of my childhood as well as to the unhappy circumstances of a bad marriage. The love of "Jesus Forsaken" as a means to accept imperfect life and still be able to love and contribute to God's work, was a revelation I needed. The following 19 years with the movement was filled with ups and downs of joy and confusion and guilt. I believed with all my heart I was "living the Ideal" and yet, with my husband and with the members of the movement, I was never quite "good enough". When I could not commit to an offering of money (the RED), because my controlling husband never gave me my own money, I was invited to talk to a Cappa Focolarina and it was "suggested" that I really did not have what it took to live the "difficult and demanding" life of a true married Focolarina. I was crushed. I attempted to live out the "Ideal" as a Volunteer, but never had a grappola, as I lived far from any Focolare community. I was pushed to get "members" to form one. Another Focolarina told me my "downfall" to living a vocation was to be my attachment to my husband and my analytical mind. I had always thought these would be good things to have. I began to doubt myself and my marriage. This website does not repeat the information given on the official Focolare website. We give our own thoughts and impressions and are independent of the Focolare organization. We are working hard to translate our website to other languages like Italian , Spanish, German and Dutch. 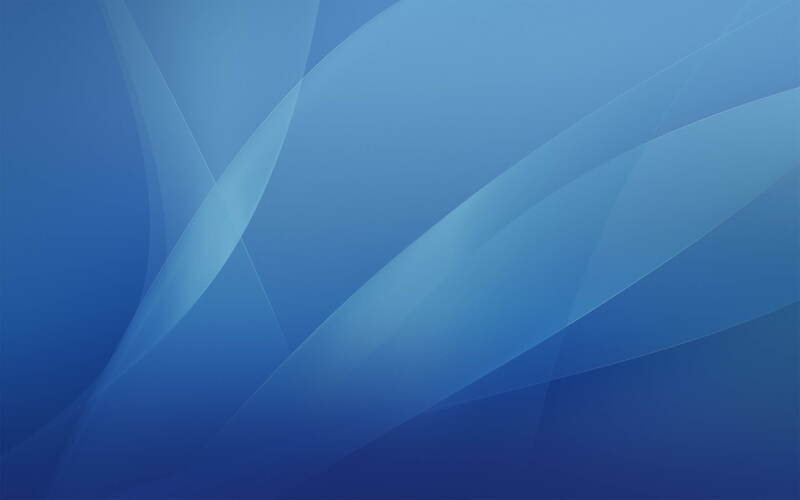 We would also like to improve the visual appearance of our website. Because we are still a small group, we could use some help. Please if anybody has some time, contact us at focolarenet@mail.com. Every offer will be seriously considered. All people to whom young people turn in their quest, should feel their deep responsibility to offer their best life experience, but *never* make the young ones dependent on themselves or on any ideology - instead youngsters should be encouraged to think by themselves and look for their own conclusions and deductions, even somehow "pushed" to walk by themselves. It has been a few weeks ago that I came across this unique website. Really, you are doing an great job. 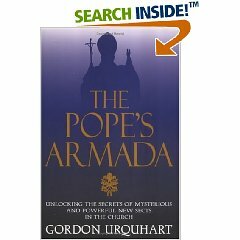 You show another side of the focolare that has not been revealed by other sources, only by Gordon Urquhart�s excellent book. When I mailed my thoughts to the webmaster I got very good response and now I have contact with other people who have been involved in the movement. This is a great help. I�d like to thank everybody who has made this possible. If anybody is out there not knowing what to think of this website, I can only say, don�t hesitate but contact the webmaster. Share your ideas and you will see how life after focolare can also be good. We all have the love of God in our hearts, nothing can change that. But we are not made to be alone. For me, it has been good to find new friends here who respect me, trust me, without trying to influence or manipulate me. Special thanks to a unique person in the web team who went through a great deal of trouble to make me understand things better. A few of my best friends are living in a focolare, some of them even because at one time I have introduced them to the movement. Now I feel very sorry for them because they have lost all their privacy in order to live their Ideal of God-Love. I know it is their own free choice to do so, but I cannot understand why everybody has to pay such a high price for wanting to live the Word of God. Chiara took the Gospel very literally, which was a great strength, but not everyone is as strong as she was. Many people break down under the pressure of living in a glass cage. I appeal to all the leaders of the Focolare to ease down a little, be more open minded and allow some privacy to the members of the Focolari. In the end this openness will help to keep the Ideal alive. Think about it and you will see it is the decent thing to do. (2) to accept a lot of rules that many sects use to obtain trust. You can't close your eyes in front of the techniques used by Focolare in order to keep you in and convince you not to express the reasonable doubts that could arise. You should recognize them and then you could tell me if the Truth of Movement justifies those techniques. I don't think so, but I could understand such a point of view. What's your opinion? Moreover, the value of this site is also the fact that it provides to many ex-members a VERY important place in which they can share their (often painful, like mine) experiences lived in Focolare. Is there a happy life after focolare? It certainly is possible but you have to find some solutions. If you know somebody from your region who has left try to spend time together and try to talk talk talk; you will be so amazed at what the other says, that they struggled with exactly the same things as you did. I did the same I went for a walk with somebody I had know for a very long time; now for the first time I met her as she was; she had struggled with the same things but never ever we would have talked about that in our focolare period because then you would be out of the supernatural. My dear friends we consist of a natural and supernatural part and should take care of both. As you will have lost all of your former focolare friends why not go on holiday together. Try to remember what you liked as a hobby before you entered focolare and take it up again. If you hurt too much go and seek help with a psychiatrist you don't have money ask focolare if you have given your superfluous and insist on it that you need it. Be patient with yourself, in time you will find new friends, hobbies and a new aim in life. Take courage! Recently we received many e-mails, both from people who encourage us and also from people that are very angry with this website. Now it is possible to write your opinion in the guestbook, but we also like to put some more questions on this site. We like to hear a reaction from the official Focolare movement, but also from people who are members or ex-members of this organization. The official Focolare leadership is especially invited to clarify their point of view. All reactions will be published. 1. Why is there no democratic leadership in the focolare movement? 2. Why does the Focolare organization keep all their financial dealings a secret? 3. Why do some Focolare people have expensive cars and beautiful houses? 4. Is it true that Focolare recruits from people in vulnerable situations like young children and people who are having a difficult period in life? In a recent verdict the Dutch High Court has prevented a focolarino to receive a tax-reduction. The Court ruled that a member of the Focolare is bound to give all his belongings and money to the Movement. This makes it impossible for him to use the same money claiming it is a free gift and receive a tax-deduction. In our last count it turned out the international Focolare website has 800 web-pages now. They are overwhelming the net as well as the real world, with more drive than any international commercial company. It seems that those who run the organization these days have gone a long way from the humble beginning without a clear goal, like Chiara had at the start of the movement, some 60 years ago. For nine years, Urquhart belonged to Focolare, whose 80,000 core members live in 1,500 dioceses around the world. He left in 1976 and has since devoted himself to exposing what he now calls the "sinister characteristics" of the focolare. Urquhart summarizes their features this way: "the personality cult of the leader; a hidden but rigid hierarchy; a highly efficient internal communications system; secret teachings revealed in stages; a vast recruitment operation using sect-like techniques; indoctrination of members; and boundless ambitions for influence in church and society." Of greatest concern to Urquhart is another goal of the focolare: "ego-destruction, causing depression and mental breakdown on an alarming scale."